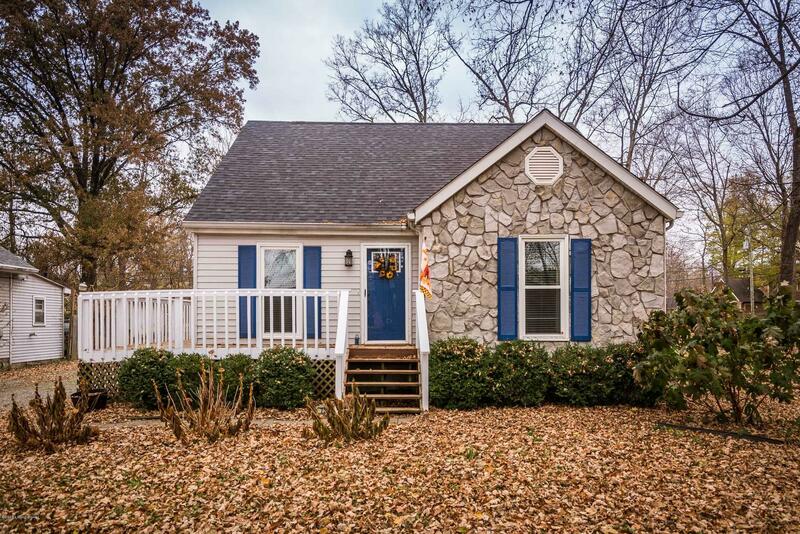 Meet 707 Washburn Ave. An updated 3 bedroom, 2 full bath home in the heart of Lyndon. The home boasts hardwood floors, a brand new designer kitchen with white shaker cabinets and quartz countertops, modern appliances, glass subway tile backsplash and a full pantry closet. The first floor full bath has also been renovated. The master bedroom is privately located on the second floor. The master shower has just been completely redone as well. Outside you will notice that the home sits next to a plot of land that is park-like and you will find a huge wrap around deck. There is also a new 2.5 car garage that was recently built for all of your storage and parking needs. This home is a gem in 40222. Come check it out and Find Home!